Due to the planning and course set up for Hoya Hills Invitational Cross Country Race Wednesday October 2, Tuesday morning’s workout (October 1) has been canceled. 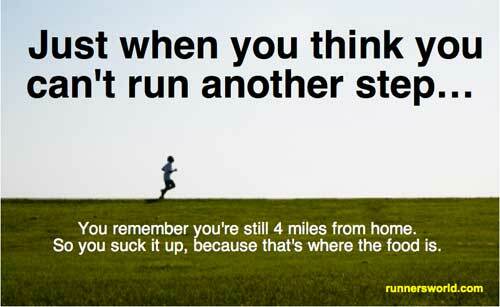 MARS will next meet for an easy run 6:45 Friday morning at Conroy Track. MARS Runners traveled to Taylor Creek in Toronto today to compete in the first race of the Breslin Cup four race XC series. MARS entered two teams and each came second in its category. The team of Lowell Greib, Helen Dempster and Roger Penney placed 2nd in the men’s 30-39 category (team’s run in the age group of their youngest runner and men’s team can have one woman on the team and that woman can run one age group older if needed). The team of Troy Cox, Katherine Ahokas and Pierre Mikhail placed second in the men’s 40-49 age group. Individual results were also impressive. Troy Cox placed 5th overall, with Pierre Mikhail in 15th, and followed quickly by Penney, Greib, Ahokas and Dempster. Cox and Mikhail finished 2nd and 3rd respectively in the men’s 45-49 category. Ahokas won the women’s 30-35 race and Dempster placed 2nd in the women’s 40-44 age group. The Breslin Cup is a true team event. At each race a team’s best five results (weighted by age in comparison to world record times in that distance) are added up. A team’s best three races are averaged to calculate their final score. There are four races total in the series and any team completing 3 or more races with five or more runners has a chance to win the cup. After one race, MARS finds itself in second place. The club will bypass the next race October 6 so that it can support the local Muskoka Mud Run. It will continue its quest for the Breslin Cup November 3 at the 8km race at Sunnybrook Park in Toronto, and November 17 at the Ontario XC Championships in London. It’s never too late to join these MARS runners at the next race! Muskoka Algonquin Runners would like to congratulate the Huntsville Hoyas Cross Country Running Team for their success at the Pre-OFSAA race in Sudbury yesterday. Huntsville’s team of 49 runners stood out both for their performances and how well they represented their school. From here on in, the Hoyas have a race every week until their big race, GBSAA October 23 in Duntroon. The team performances were lead by second place finishes by our Junior Boy and Senior Girl teams, followed by third place for Midget Girls, fourth place for Junior Girls and 6th place for Midget Boys. There were also some fabulous individual performances. Each race had 100-140 runners. Emma Mensour and Robyn Goodwin placed 1st and 4th respectively in the midget girls race. Graham Shearing placed 15th in the midget boys race. In the Junior Girl race, Shannon Marshall placed 6th. In the Junior Boys race, Adam Lavigne, Justin Smith and Nathan Johnstone placed 7th, 12th and 17th respectively. Ryley Atwood and Mariah Smith placed 5th and 13th in the Senior Girls race and Josh Stevens placed 20th in the Senior Boys race. Several runners bravely battled their nerves to get through their first ever high school XC event. Congratulations to all! The Hoyas next race Wednesday October 2 at the Hoya Hills Invitational at Arrowhead Park beginning at 12:30. Come out and cheer them on! Sunday September 29 is the first Masters Cross Country race. We are still looking for a few more runners to come with us so we can field a team in the Breslin Cup. Anyone who decides to do one of the three races we are attending (Sept 29, Nov 3, Nov 17) will have their Ontario Masters Running membership ($50) paid for by the club. The races themselves cost $15. This Sunday’s race is 5 km. We will plan to carpool around 9:30 am for 1 pm race at Taylor Creek Park in Toronto. Information here. Another upcoming XC race is the Muskoka Mudrun. Huntsville Hoyas XC season is under way. Several of the team’s community coaches are MARS Masters Runners. Good luck to the Hoyas as they head off to their first XC race of the season in Sudbury, at Pre-OFSAA, on Friday September 27, 2013. Finally, several MARS Members plan to take the MARS Marathon Challenge by heading down to lovely Burlington, Vermont for the May 25 , 2014 Vermont City Marathon. There is a marathon and marathon relay. Registration opens November 1 and the races fill quickly. Join MARS on this field trip. Information here. Congratulations to all of our triathlete friends who competed in Ironman 70.3 today. MARS returns this week with morning workout Tueday 6:30-8 am and easy run Friday 6:45 am, meeting at Conroy Track. Come out and join the awesome world of cross country running. Our first XC race is Sunday September 29 at Taylor Creek Park in Toronto at 1pm. Carpool service will be available Sunday morning. The race is an affordable $15. MARS XC Time Trials will be held Thursday October 10 and 17 from 6:30-8 am. We will jog a 5km course then do the time trial. MARS is already busy in September. This past weekend MARS was well represented at The Run For A Way event at Santa’s Village in Huntsville. In the half marathon, Troy Cox continued his local dominance, winning the event by over twenty minutes in 1:17:44. In the 10K, club runners finished 1-2-3, with strong performances by Helen Dempster, Jess Sheppard and Pierre Mikhail. MARS Tuesday morning workouts start up again Tuesday September 10 at 6:30 am at Conroy Track. It sounds early and many people complain bitterly before doing an early morning run. Very few complain after they’ve completed one. Why not give it a try? Tuesday’s workout will be 800m cross country intervals plus some 200m intervals, all done in an area where the group can stay close together but all still work hard. 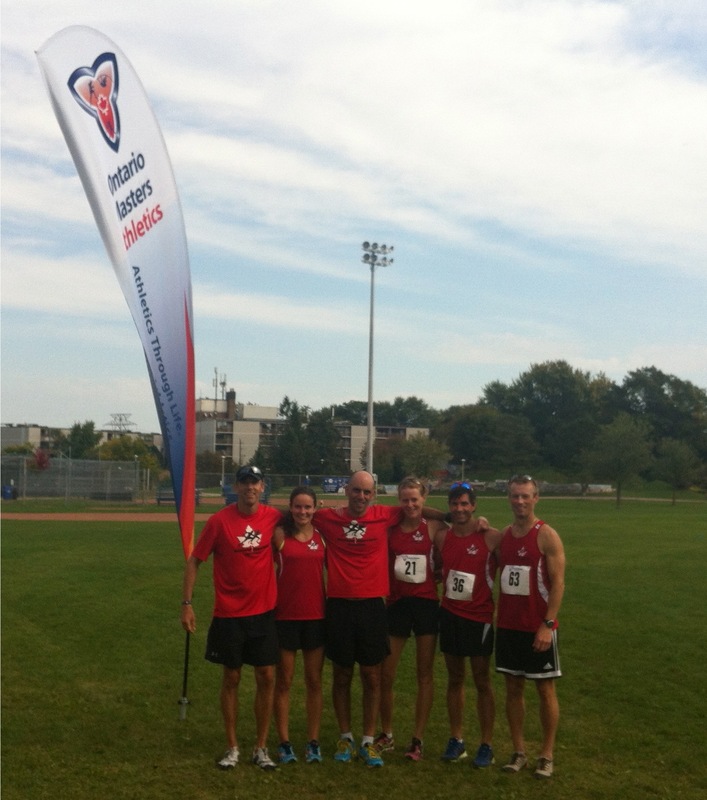 The first Masters Cross Country race is Sunday September 29 at 1 pm at Taylor Creek Park in Toronto. Registration is now open and we will plan to carpool the morning of the race and be back by 5 pm. The race costs $15. MARS hopes to enter several teams. Runners enter themselves at http://ontariomasters.ca/competitions/cross-country/. First get an Ontario Masters Membership and select Muskoka Algonquin Runners as your club. We will declare teams at the event. Contact us for more details through the website. Finally, because of the large gap between our first official Masters race on September 29 and the next one November 3 (there is the local Mud Run October 5 but it is not part of the race series for Athletics Ontario), MARS is holding two 5 Km time trials. These will be held the mornings of Thursday October 10 and 17 at 6:30 am. Our warm up will be an easy jog of the course then we race. Awards will be presented in multiple categories including best bed head. Course map and profile below.